This past weekend Jason and I had a date-in. After we put Madi to bed we had dinner, watched TV, drank wine, and tuned out all the distractions (minus the occasion baby monitor peak of course). It's so nice to re-connect and just enjoy one another's company for a change. And as someone who's guilty of checking her phone all too often, it's a good way to give my attention to the most important person in my life - my spouse. Jason is an amazing husband and father. I am truly blessed to have him in my life! However, I do not always do a good job demonstrating that to him. I take him for granted sometimes and don't always treat him with the respect he deserves. 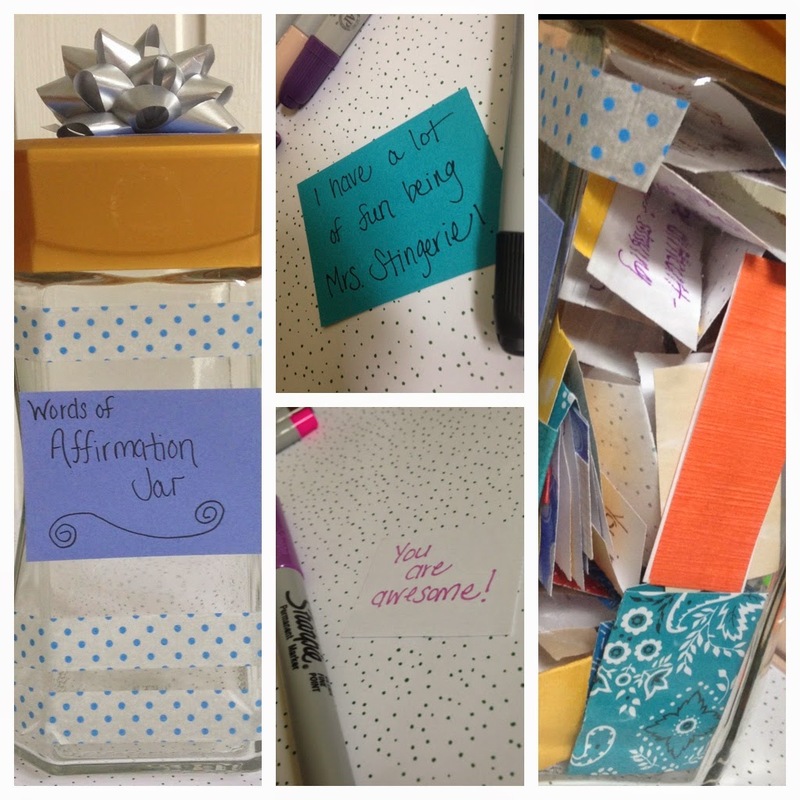 That's why I thought it would be a good exercise for me (and a good gift for Jason) to make a Words of Affirmation Jar. The list of materials for this DIY is pretty short - basically all you need is a jar and slips of paper. 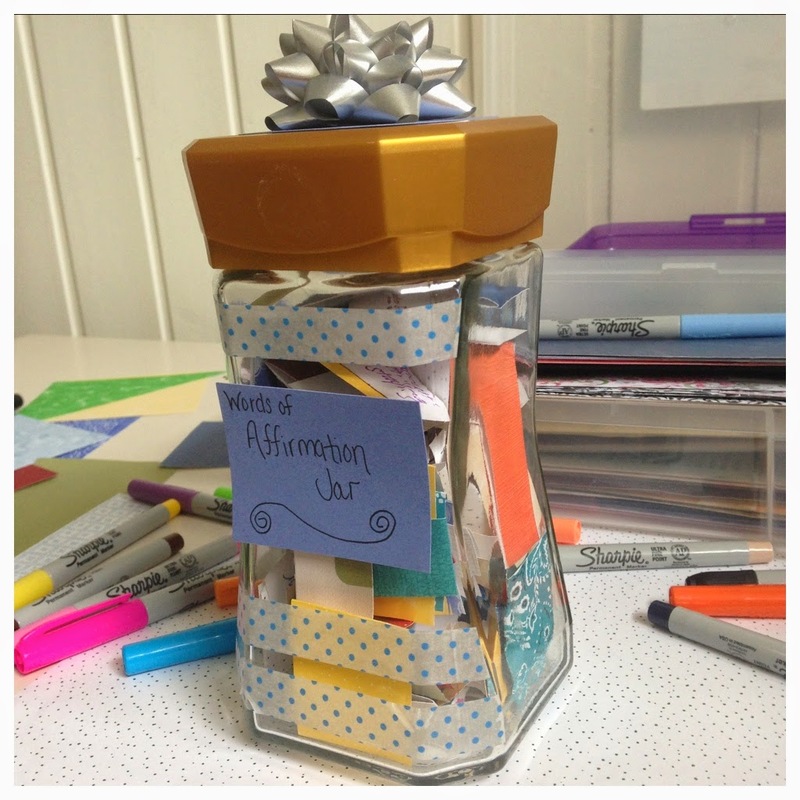 I tried to make mine slightly fancier by using washi tape and a present bow (mostly to cover the sticker I couldn't get off the top of the lid), and scrapbook paper because I have an abundance of it lying around. As inspiration I used this website to get some ideas of things to write. I also made some of my own and personalized some a bit. I hope that Jason appreciates his gift and that he picks the words he needs to hear whenever the time comes for him to need a bit of encouragement.